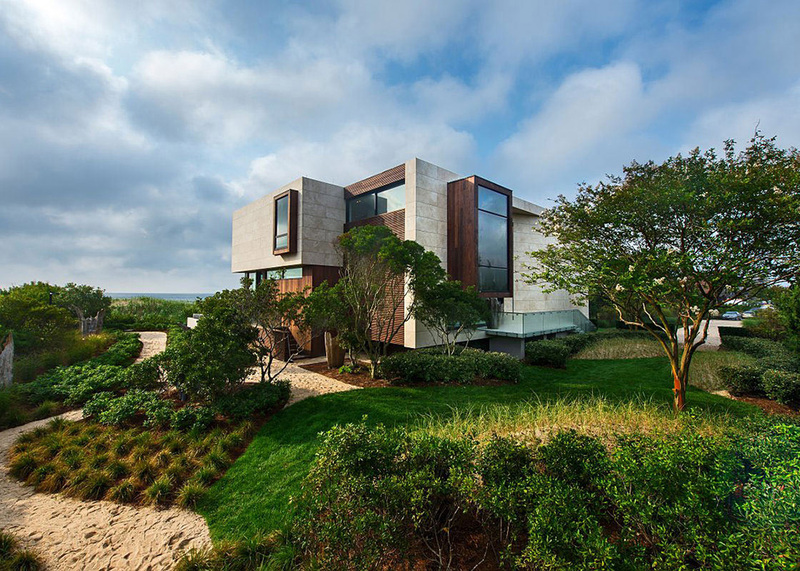 Daniels Lane sits on a narrow, one-acre, oceanfront lot in the Village of Sagaponack and it was one of the first projects in the area to be affected by the 2010 revision to FEMA flood elevations. This required a first floor elevation of approximately 17 feet above sea level with a maximum height allowance of 40 feet with all construction located landward of the Coastal Erosion Hazard Line. The home’s site within a high velocity (VE) wind zone added to the planning and structural challenges, so the architects had to work within those constrains. 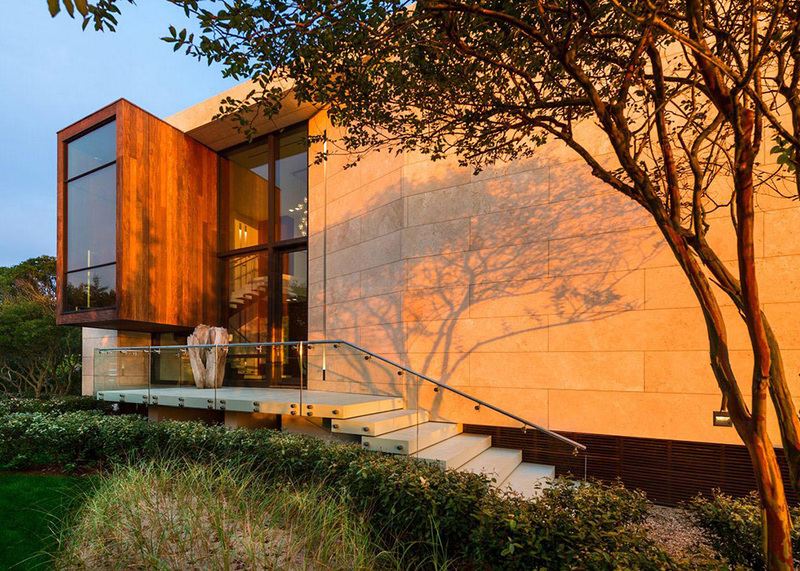 Makoid wanted the home to appear simple and clean upon arrival, so the entrance to the property was designed on one side and through a travertine façade that features a single opening. This was accentuated by a cantilevered afromosia (or African Teak stair landing) that elegantly hovers off the ground. A ‘cut and fold’ in the wall plane bends to allow for one large glass opening, from which an over scaled wood aperture contains the main stair landing cantilevers. 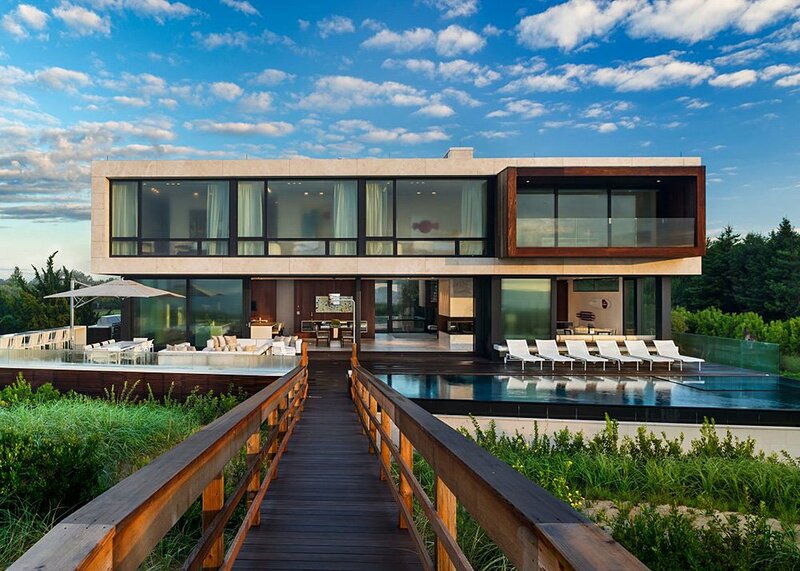 While a layer of service spaces run parallel to one of the walls, the open plan living room, dining area and kitchen stretches along the ocean side of the house. The large floor to-ceiling sliding glass panels allow plenty of sunlight in while creating an easy access into the patio, pool, wooden broad walk and the beach beyond. 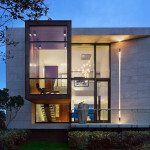 On the second floor of this stunning modern home the architects built three identical children’s bedrooms and a master bedroom with a sheltered balcony also made from afromosia wood. 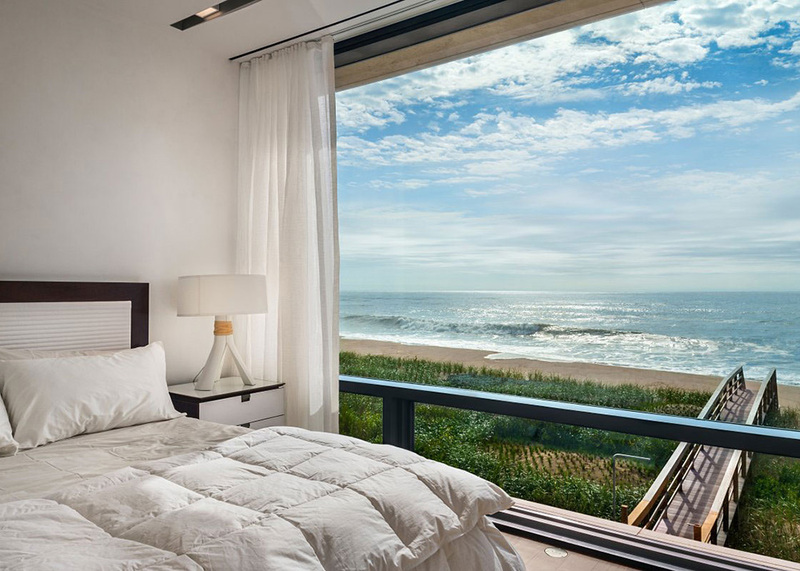 Like in all of Makoid’s work, this quiet elegant oceanfront home boasts a simple cohesiveness that unites a simple architecture, good quality materials and stunning outdoors. 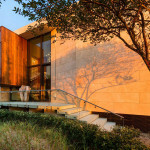 See more from Blaze Makoid Architecture here.